How To Check The PNB Credit Card Eligibility? Owning a credit card has become a significant part of our financial life. With the introduction of demonetisation in the country, people are more influenced to carry a credit card with them. Nowadays almost every bank offers credit card to its customers with various exclusive offers. These offers make them a must own card with you. Similar to private banks, government banks are also in a row to introduce good offers to its valuable customers. Before applying for a credit card, an individual need to check for his eligibility to apply for the same. Every bank or financial institute follows different criteria to choose their customers. If you are looking to apply for a credit card in Punjab National Bank, here are few of the checkpoints that should be met. PNB is one of the most trusted banking partners that gives its customers a lot of varieties. The bank provides financial independence to live your life comfortably. For an individual to check whether he or she falls under the category of eligible candidate to own a credit card from Punjab National Bank, he or she must be in the age group of 21 to 65. Hence, the minimum age should be not less than 21 years and the maximum age should be less than or equals to 65 years. If you belong to the age group that comes under this age -group, you can go ahead to apply for an individual credit card of your own from the bank . However, if a person crosses 18 years of age then, he or she can apply for an add-on card. 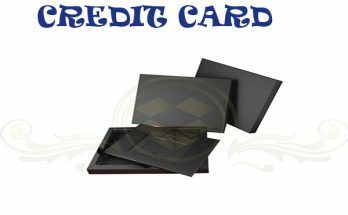 This add-on card is an extended card offered on the approval of the actual cardholder. If the bank issues a credit card, the bank needs to be sure about the income of the cardholder. So, the individual should justify his credit limit by showing his income. It plays an important role in approving the eligibility as well as deciding the limit of the card. According to the experts, to fit in the eligibility criteria, you should have a regular income in the Punjab National Bank. This income criterion should be regular and specified as according to the instructions of the bank. The minimum annual income limit to apply for a credit card from Punjab National Bank is decided to be INR 80,000 per annum. This means your salary or regular income on papers should cross minimum of Rs. 80,000. However, this is a minimum limit to own a credit card from PNB. The income eligibility criteria may vary according to the requirement of different levels of credit card available with the bank. Another important eligibility criteria for owning a credit card is that the individual who is applying for the credit card should be Indian by nationality. However, if an applicant is non- resident of India, then also he or she can apply for the credit card. 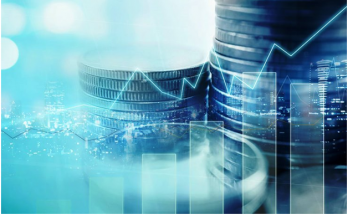 The credit history of the applicant: In the form of credit card, the bank will be trusting you and giving you a credit limit to carry out your expenses. In such cases, the issuing authority needs to carefully study and investigate your credit history. Credit history could be defined as your previous records of transactions. This gives a fair insight of how much expense and earnings you can do. This is completely based upon your credit health history that you have maintained so far. If you want to apply for a credit card from PNB, you should be 10the pass. This is the minimum educational qualification that needs to be fulfilled if you are applying for a credit card. To be eligible for a credit card, you should have at least six months old bank account with the bank. It is important as it will help in ensuring your reliability and stability with the bank. Hence, if you are planning to apply for the card, make sure you have an active bank account with the bank. 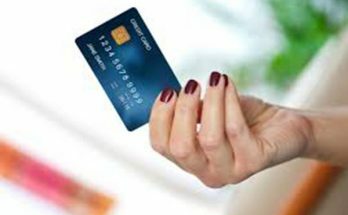 If an individual is applying for a credit card from a particular city branch, he or she must be a resident of the same city. If not the residence, he or she must be employed in the city. It is important in carrying out the verification process. Hence, keeping all the above mentioned important points, one must check by himself for the eligibility criteria to own a credit card from PPNB. All these described criteria are minimum eligibility criteria that should be met without any fall to be an eligible candidate. In case you want to apply for a premium card, the eligibility criteria will change slightly according to the demands of the card level. Ankita is a freelance writer who writes about finance, loans, credit cards and insurance.